In a thorough review of the medical literature published in the winter quarter of The Bariatrician, Michael Anchors, MD, PhD, found no credible evidence of any dangerous side effects of phentermine use as an appetite suppressant. Dr. Anchors’ review was unable to document any instance of addition of significant hypertension, heart valve damage or serotonin syndrome in patients on prescribed doses of phentermine, although these problems are often cited by medical professionals as reasons not to take phentermine for appetite suppression. In addition, after an exhaustive search, Dr. Anchors found no evidence in the medical literature that prolonged use of phentermine produced any ill effects. The Prescription Perspective: Many physicians have a “knee jerk” reaction against the use of appetite suppressants to aid weight loss. This reaction is based on genuine concern about the welfare of their patients, but unfortunately it is a concern that appears to have no data supporting it. Appetite suppressants are chemically related to amphetamine-like medications, but all of the commonly used appetite suppressants provide minimal cardiovascular or neurologic stimulation in most patients. Furthermore, several large studies have failed to identify an increased risk of cardiovascular complications in patients using appetite suppressants or in those using similar, but more powerful, medication for treatment of attention deficit disorders. Significant obesity clearly poses a much greater health risk than do the appetite suppressants. Those patients who want to use appetite suppressants to facilitate rapid weight reduction should not be denied access to these medications based on an unfounded fear that they will increase cardiovascular problems. Nevertheless, it is always best to utilize these medications as part of a medically supervised weight loss program in which patients are seen frequently and followed closely. Also never forget, appetite suppressants alone do not make patients lose weight! They just make patients comfortable while doing an effective low calorie diet as part of their weight reduction program! This entry was posted in Weight Loss Prescriptions on March 25, 2016 by PWLC. You’ve seen the glitzy ads in men’s and women’s health magazines, newspapers, direct mail and TV infomercials. Use this or that supplement, or often a combination of several supplements, and you’ll be stronger, sexier, more virile, more beautiful, thinner and live longer. The ingredients are often touted as “all natural” or derived from some exotic plant from the Orient or the jungles of South America. It’s become Big Business! The supplement industry has literally exploded in recent years into a $32 billion/year “industry,” and it’s growing annually as more and more consumers pursue eternal youth – even for their pets! Celebrities and/or professionals are often hired to tout their benefits. If you take the right combination(s), you’ll be smarter, more alert, “burn fat” without dieting and your appearance will transform into that of a much younger and more active man or woman. Half of Americans take supplements and most use more than one at a time. Well, if a claim sounds just too good to be true, it probably is. There’s a dark side to supplement use that is becoming much more of a clinical problem. Unlike prescription drugs, the supplement industry is largely unregulated by the FDA, which can only step in when a product has been clearly demonstrated to be harmful. And when they do step in, the results can be alarming. Often the labels bear little relation to the supplement’s actual contents. Dr. H. Bonkovsky, Director of Liver & Metabolic Disorder Lab of the Carolinas Healthcare System, has stated that, “It’s anybody’s guess,” as to the actual contents. Inclusion of unlisted steroids is common and some supplements contain up to 30 different ingredients, many of which are not even listed on the packaging. The NIH’s Drug Induced Liver Injury Network has established that severe liver injury by supplements has tripled over the past decade, now representing >20% of all medication induced hepatitis. It’s even earned a new disease name: NASH – non-alcoholic steato-hepatitis. And the kidneys can be affected too. NASH has resulted in numerous liver and/or kidney transplants, drastically altering life expectancy for the worse. 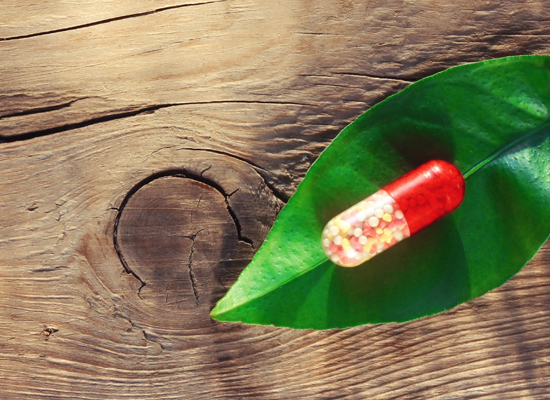 Often it’s difficult to pinpoint the offending supplement, but one in particular has shown up frequently in NASH patients – green tea extract. This extract can contain high concentration of catechins – an antioxidant promoted for energy and weight loss – in amounts far exceed that in a single cup of green tea! High doses of catechins have been demonstrated to be toxic to the liver. The Prescription Perspective: Since many NASH patients have turned to supplements as an easy weight reduction solution, we are seeing an increasing number of these patients in our weight loss clinics. The typical patients are younger men who use supplements to promote body building or middle aged women who use them for a quick weight loss solution and an energy booster. Initial blood tests often reveal significant abnormalities in liver and kidney chemistries and these patients, who are not candidates for our weight loss program, are quickly referred to liver or kidney specialists for long term care. Sadly, many refuse to abandon the offending supplements. Just because a product is “natural,” doesn’t mean it’s safe, or even good for you. Don’t forget, arsenic is a “natural” compound too but few would consider it a safe dietary addition. The FDA has estimated that 70% of dietary supplement companies are not following basic quality control procedures to insure safety of their products. The NIH task force has only been able to study about 170 (0.3%) of the 55,000 dietary supplements currently marketed in the US. Many of these contain ingredients from the Orient or eastern Europe and at least one-third included one or more steroids that were not listed on the labels. Furthermore, when one considers that these supplements may contain as many as 30 separate ingredients, the problem becomes truly alarming. While any one of these ingredients may be harmless when taken alone, there is not a scientist in the world who can accurately predict the impact of mixing this many “drugs” in the human body. Of course, not all supplement companies engage in such questionable practices. The problem for consumers is in distinguishing the good from the bad. Certainly a celebrity endorsement is no guarantee of quality, nor is the recommendation of a friend or trainer. While some supplements, like vitamins, minerals, probiotics and Omega 3 fatty acids, have not been linked to adverse kidney or liver reactions, our best advice to patients mirrors that of Star Wars hero, Luke Skywalker, “Don’t ever go to the Dark Side!” Short cuts to weight loss and body building can end up being a very long trip to serious medical problems. A well designed clinical weight management or workout program administered under medical supervision is often the quickest and most effective way to achieve your goal and remain healthy. This entry was posted in Uncategorized on December 28, 2015 by PWLC. You may recall an earlier “Latest Skinny” post in which we reported on a study demonstrating that moderate coffee consumption significantly reduces the incidence of depression. Now a well done study from Japan demonstrated that three hours after a test meal followed by a coffee drink, blood sugar was significantly lower, peripheral vascular flow increased and elevated levels of an appetite-regulating hormone called glucagon-like peptide-1 (GLP-1) were demonstrated. The authors concluded that the post meal coffee had both vascular and weight control benefits. Lower blood sugar means less insulin stimulation and fat production, while the increase in GLP-1 reduces appetite. Research continues to demonstrate that moderate doses of coffee have multiple beneficial health effects. In this study the benefits were primarily mediated through polyphenols, which are compounds contained in coffee that have previously been demonstrated to improve metabolic and cardiovascular disorders. The GLP-1 increase is particularly interesting since this hormone, secreted by the small intestinal mucosa in response to the presence of proteins, fats and/or sugar in the lumen, is known to stimulate insulin release with a resultant rapid drop in blood sugar. When blood sugar reaches the normal range, however, GLP-1 secretion stops thus preventing hypoglycemia which would stimulate appetite. GLP-1 also has central nervous system activity to increase satiety, the sensation of fullness in the stomach. This minimizes overeating, which over the long term also reduces weight. These effects of GLP-1 are beneficial in a number of additional ways. Ordinarily GLP-1 has a very short life in the bloodstream. GLP-1 agonists are compounds which block the uptake of GLP-1 at its receptor sites throughout the body and thus prolong the life of GLP-1 in the blood. More GLP-1 in the bloodstream for a longer period of time can significantly reduce blood sugar and lower insulin release. All Step I patients know that insulin is the “fat producing” hormone. Because of these effects on blood sugar and insulin, GLP-1 agonists are now being used to treat type 2 diabetes. One of the attractive features of GLP-1 agonists is that when blood sugar becomes normal their ability to lower blood sugar ceases so hypoglycemia almost never occurs. Additional weight reduction caused by prolongation of GLP-1 activity in the brain which prevents overeating also improves type 2 diabetes. With all of these beneficial effects of coffee that are now being discovered, don’t feel guilty about ending a meal with coffee…in fact have second cup. This entry was posted in Uncategorized on October 21, 2015 by PWLC. HIT, or heparin-induced thrombocytopenia, in its most common form is an immunologic disorder in which intravenous or subcutaneous heparin (a potent anticoagulant) administration induces antibodies which cause platelets in the blood to form extensive clots in both arteries and veins. Platelet count then drops precipitously. It is a serious disorder often resulting in limb loss or death. A recent study from Cedars-Sinai Medical Center in Los Angeles performed over the course of seven years on ICU patients demonstrated that obesity was strongly associated with the development of HIT. Patients who were obese had a 170% greater incidence of HIT which rose to 600% in morbidly obese patients. This study is the first report to show a strong association between obesity (as measured by BMI) and HIT. Obesity has been closely related to a variety of immune-mediated disorders such as rheumatoid arthritis, lupus and inflammatory bowel diseases. HIT must be identified and treated quickly to minimize the likelihood of extensive clotting problems. Treatment involves cessation of heparin therapy and, in patients who need continued anticoagulation, an alternative medication should be administered. One of the dangers of HIT, which can take several days to develop initially, is that subsequent administration of heparin, even years later, can cause rapid recurrence of HIT which may produce extensive blood clotting before the problem can be identified. One small problem with the study is that the degree of obesity was classified based on body mass index (BMI) BMI calculation relies on body weight, which is dependent on several parameters (muscle mass, hydration status, bone density, e.g. )in addition to fat mass . As we all know, BMI is not the most accurate method for classification of obesity. The results would likely have been much more dramatic had body fat percentage been utilized instead of BMI. immunologic conditions that are worsened by excess body fat. This entry was posted in Uncategorized on October 8, 2015 by PWLC. improve the overall health of the Mexico’s inhabitants. alternatives nearly enough. The cola companies aren’t particularly helpful either, since they combat these assaults on their revenue by either denying that consumption of sugared drinks is a major factor in obesity or pointing the finger at other offenders. Time will tell if Mexico’s approach makes a significant impact on its obesity/diabetes epidemic but at least Mexico seems to have gotten one thing right. The emphasis on education will likely be much more effective than any penalties they impose on the populace. This entry was posted in Uncategorized on June 4, 2014 by PWLC. to “turn on” specific cells in the stria terminalis of the amygdala of experimental mice, located deep in the brain with direct connections to the lateral hypothalamus. The hypothalamus controls basic drives and emotions such as fear, anger and hunger. Stimulation of these cells resulted in immediate voracious feeding activity. Given the choice, the mice strongly preferred high fat and carbohydrate-heavy foods. Scientists recommended that future research be directed toward drugs to target these cells and develop a way turn them “off” for better control of abnormal eating behavior. to eat aggressively, even after consuming amounts of food that would normally fill them up, this also raises the prospect of a specific and effective treatment for binge eating. This entry was posted in Uncategorized on April 18, 2014 by PWLC. A preliminary study at the University of Chicago on non-obese patients demonstrated a significant increase in cellular insulin resistance in study patients who were sleep-deprived. Insulin resistance is a precursor to obesity and type II diabetes. Fat cells were most affected. Biopsies of abdominal fat cells in the sleep deprived patients demonstrated a 30% decrease in their insulin responsiveness but even total body insulin sensitivity was decreased by 16%. Researchers concluded that the increased serum insulin that is seen in insulin resistant patients ultimately results in increased fat storage and obesity. Followup studies were planned. The Prescription Perspective: The relationship between lack of sleep and obesity has been known for many years. The reasons for this are less well-documented. The relationship of sleep deprivation to diabetes is also not well-defined. This interesting study points to a clear relationship between sleep deprivation in normal weight patients and the factors which are known to cause both obesity and type II diabetes. The results of followup studies on obese patients will be interesting; however, the message from the preliminary study is clear. You can’t sleep the weight off, but 6-8 hours of sleep per night should certainly minimize weight gain. This entry was posted in Uncategorized on January 22, 2014 by PWLC. Please join us in welcoming on board the newest Prescription Weight Loss Clinic® Franchise. On November 11 Prescription Weight Loss Clinic® Countryside opened its doors. Located at 2665 State Road 580 in Clearwater, this clinic is seeing patients each day of the week except Thursdays. Doctors Jeffrey Marks, Maria Pimentel, Anjana Patel and Patricia Llewellyn and their energetic staff are a great addition to the Prescription Weight Loss Clinic® family. You can learn more about this office at here and the office can also be reached directly by phone at 727-450-0305. Welcome Aboard Countryside! This entry was posted in Uncategorized on November 20, 2013 by PWLC. Stored properly, vitamins are usually stable for a minimum of four or five years, according to Glen M. Shue, a chemist/ nutritionist for the Food and Drug Administration, but he added: ”We had a bottle of vitamin D on the shelf in the lab for 10 years. We’re air-conditioned so the temperature stays cool here and when we tested it, it was still good. So it’s hard to tell. An expiration date is conservative and aimed at the manufacturer and storer more than the consumer. That keeps them from selling the stuff that they have in the warehouse for years. Expiration dates are extremely conservative. All vitamins start to slowly degrade the day they are manufactured. Vitamins deteriorate at different rates, so manufacturers will beef up the strength of some vitamins that tend to deteriorate faster, in order to hit the listed strength at the time of expiration. If you were to purchase vitamins on the day they’re manufactured, in some cases you’re actually getting a higher strength than what’s listed on the label (to allow for deterioration over time). Vitamins are listed as “supplements,” thus are not regulated by the FDA. As supplements, vitamins are not required to list an expiration date on their label. This entry was posted in Uncategorized on September 13, 2013 by PWLC. The answer is “YES” according to many executive fitness physiologists and business school professors. Executives with larger waist lines, higher body fat % and BMI are perceived as less effective with interpersonal relationships and in the workplace overall. Overweight executives are often assumed to be less capable of consistently performing at a high level because of societal assumptions about the effect excess body fat has upon health and stamina. “When we see a senior executive who is overweight, our initial reaction isn’t positive,” according to Barry Posner, professor at the Leavy School of Business. Dr. Posner couldn’t name a single Fortune 500 CEO who was overweight. This effect isn’t just confined to senior executives. Studies of upper, mid-level and entry level staff also confirm that leaner employees are viewed by their peers as more competent, exhibiting better interpersonal skills with staff and customers and they advance faster within the organization. In contrast, excess weight conveyed weakness and lack of control. This entry was posted in Uncategorized on January 24, 2013 by PWLC.